Oh good, more chicken food! I read somewhere that for every rat you see there are ten more lurking underground. Walking around the coop I could see tunnels leading into the enclosure and the goat barn seemed to be sinking into the spongy ground; it was time to take action. “You aren’t going to just kill them?” asked my animal loving daughter with a plaintive look on her face. “No, of course not. We’ll get a live animal trap and catch them that way.” I tried all sorts of delicacies until finally one morning I went out and there was a rat peering back at me from behind the little tiny bars. Now the question was what to do with it? There aren’t a lot of places that are enthusiastic about getting more rats. It was getting late and I had to be at work so in desperation grabbed the trap and put in the back of the car. “Squuuueeee!” said the rat as I sped off towards his new home in a nearby park. That was the one and only rat we caught with that trap. In the meantime the tunnels were multiplying and the neighbors were beginning to notice. ”Oh look, it’s Sam Johnson.” said one neighbor pointing at a rat named after a man he and his wife detested. It was time to get serious. A trip to the hardware store supplied me with my weapons: snap traps, sticky traps and a black box of death to put poison in. Each morning I headed out with a mixture of anticipation and dread. Each morning the traps were empty and the poison untouched. In increasing desperation, the goat barn was definitely listing to one side and the pavers around the coop were sinking fast, I called an exterminator. “Uh, hmm, so you’ve got chickens? That makes it pretty rough ’cause the rats won’t touch all the traps if there’s another food source. They’re uh, smart.” said the professional. “Maybe a cat?” said my daughter, the one person in the family who dearly loves cats. The thought of another animal was more than I could take. “Nope, no cat. I’m sure we can think of something.” I said with false optimism and a fixed smile. Well hope does spring eternal in the urban farmer world so I have a new plan. A friend suggested a treadle feeder that the chickens step on to get fed. The idea is that with no feed lying around the rats will have to either move on or finally try some of that tasty peanut butter smeared on the traps. I found a US maker and one should be here any day. I know this is going to work! Hi, I was wondering how the treadle feeder ended up working out for you? 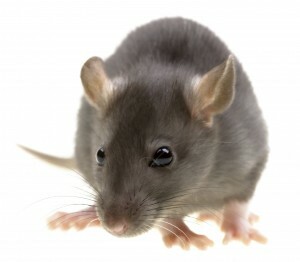 I’ve got a pretty substantial rat infestation and I’m looking into solutions – one being eliminating available and spilled feed. Unfortunately, I’m going to have to buy some traps too, but I’m going with the Victor electronic traps that electrocute the rats…from what I can tell, a much more humane and immediate death than the poison- or snap-traps. Do you have any experience with these? Thanks so much for your wonderful blog! The treadle feeder has been helpful but has not solved the problem completely. The hens love to scratch the feed out of the feeder and send it flying everywhere. I need to try putting some kind of barrier up so they can get at the food but not be so messy. They also love to perch on it and poop everywhere which gums up the arms that raise and lower the door. I think this could also be fixed with some mesh. Lastly if the feeder is low they go nuts and knock the whole thing over. Supposedly with traps the secret is to bait them for a while and get the rats used to feeding from them. Once you have them lulled into a false sense of security you activate them. Good luck and let me know how it goes!! !